Victor Bauffe was born in 1849 in Bergen (Mons), Belgium. 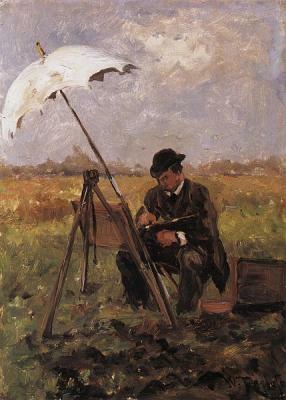 He moved to The Hague, took his training at the Academy and became a convinced follower of the Hague School. 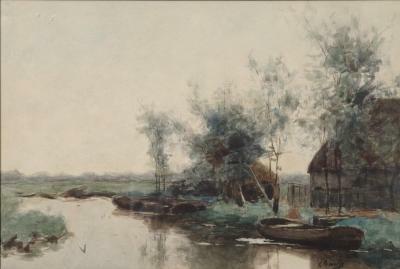 Bauffe worked in the style of his friend and mentor JH Weissenbruch, one of the great masters of the Hague School. With Weissenbruch, Bauffe often moved into the polder to paint in watercolor and oil. His best watercolors, . . .